Search Results for ""spider kelly's""
The co-owner of popular Clarendon nightlife spot Spider Kelly’s is planning a new restaurant for the base of a Crystal City office building. 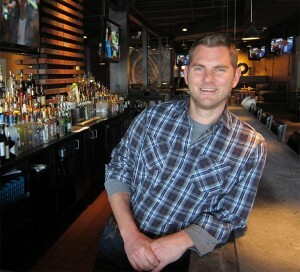 Restaurateur Nick Freshman is launching “The Freshman” at 2011 Crystal Drive, he announced today (Tuesday). He hopes to have it open by sometime in 2020. The Freshman will set up shop in a 3,400-square-foot space that was once home to a Noodles & Company location, which shut down last fall. The restaurant will have room for 120 diners and a 50-seat outdoor patio. 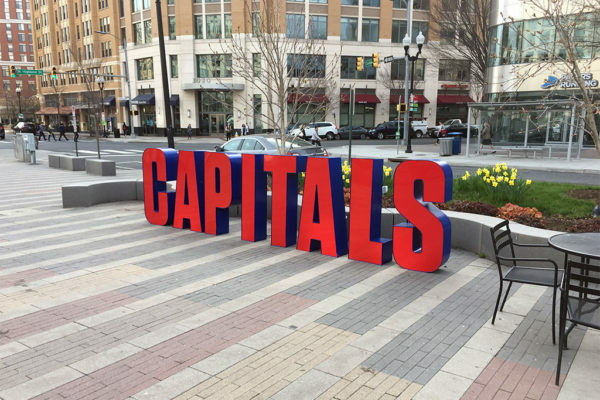 Like most of the other office buildings across Crystal City, developer JBG Smith owns the property, and is trumpeting The Freshman as the first retailer to sign a lease in the area since Amazon tabbed the neighborhood for its massive new headquarters. The company is planning an expansive new redevelopment of other retail offerings nearby, and it’s envisioning The Freshman’s arrival as one in a series of big changes on the way for the newly dubbed “National Landing” neighborhood in the coming years. “The Freshman is a perfect fit for National Landing given Nick’s longstanding ties to the neighborhood and his concept’s natural appeal to the neighborhood’s residents, office workers and daily visitors,” Amy Rice, senior vice president at JBG Smith, said in a statement. Freshman is launching the eatery in tandem with Mothersauce Partners, a restaurant advisory and investment firm he launched in 2016. 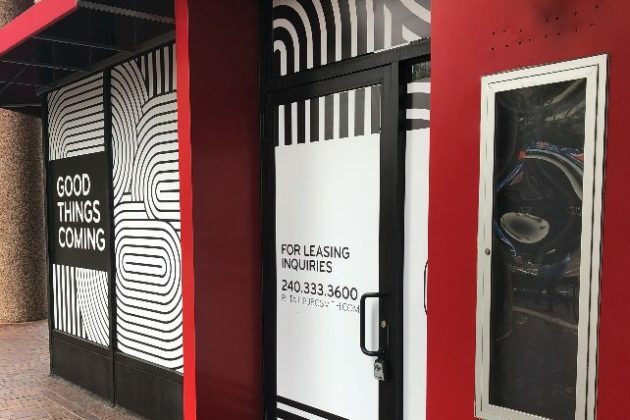 The company has helped found The Eleanor and Takoma Beverage Company in D.C., with similar offerings as Freshman’s plans for the new Crystal City establishment. 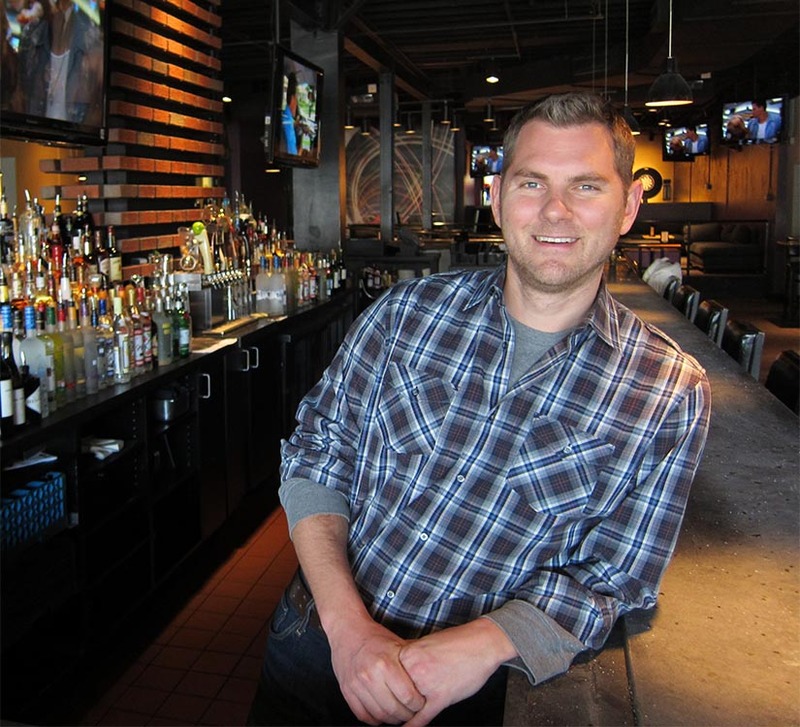 Nick Freshman is a native Arlingtonian who is the co-owner of Spider Kelly’s and was the co-owner of the former Eventide Restaurant in Clarendon. In this week’s 26 Square Miles podcast, we talked with Nick about the current state of Arlington’s restaurant business, why so many restaurants are closing, and why he’s decided to start investing in and advising new restaurants. Nick also discusses the ups and downs and strategy behind running a bar and restaurant. Be sure to subscribe to our podcast, 26 Square Miles, on iTunes, Google Play, Stitcher or TuneIn. 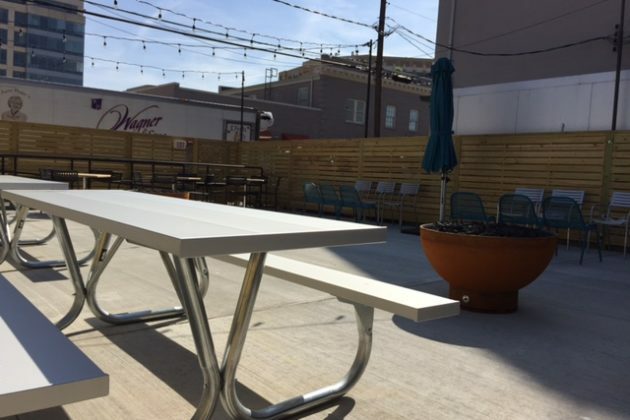 The new beer garden at Spider Kelly’s is officially open for business. 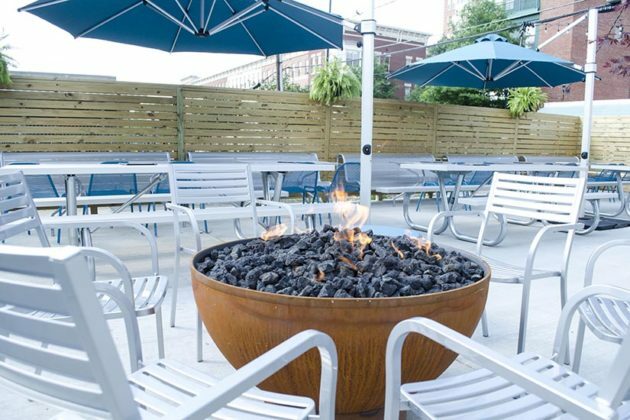 The beer garden, which is located in the back patio of the Clarendon watering hole, first started serving customers last Thursday. With the sun finally shining after some not-so-nice weather this month, hopes are high for big crowds. 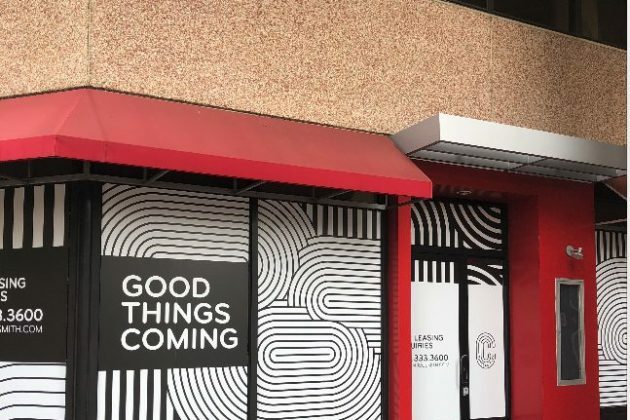 “We are really happy it’s here and our hope is that it will be something that our customers want,” said co-owner Nick Freshman. A local graffiti artist, Andrew Funk, was hired to do a custom graffiti mural to add color to the space and to match the graffiti art inside. The casual outdoor space offers seating for small and large groups. 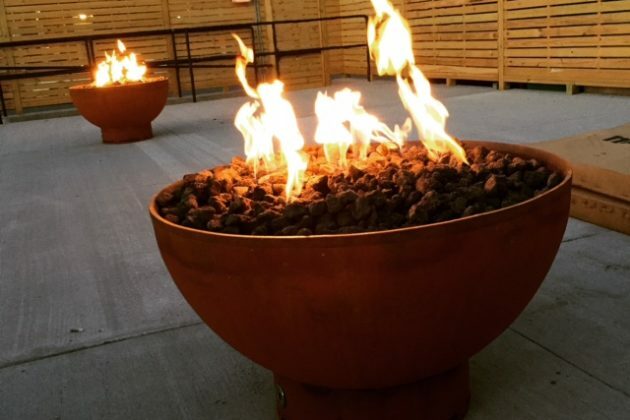 There is a combination of communal style seating with picnic benches and seating around two fire pits. There is also hightop seating at the bar. The large space offers a capacity of up to 300 people. Beers, sangrias and ciders are served in the beer garden, and the beer list has been substantially expanded. There are 30 offered cans and 16 tap lines. There are also three homemade sangrias: red, white and sparkling. For those arriving after work, there is a $4 happy hour drink special. The entire food menu is offered outside. 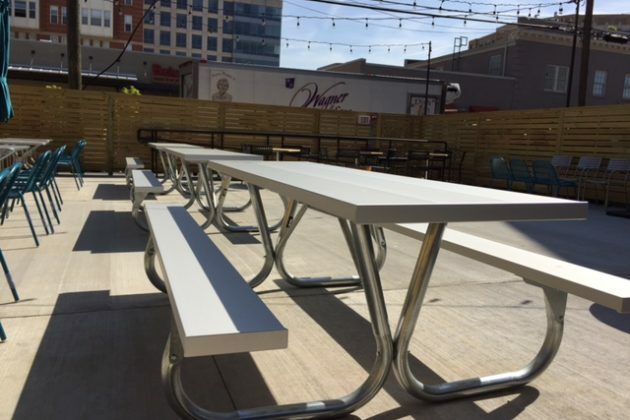 It’s being billed as a beer garden — arguably the first or one of the first in Clarendon — and within about a month it will start serving Clarendon bar-goers who want to want to enjoy their brews outside. 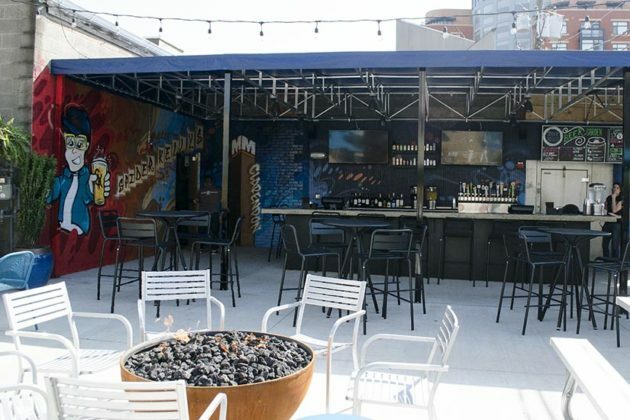 Spider Kelly’s (3181 Wilson Blvd) is currently putting the finishing touches on a new, 2,500 square foot outdoor patio. 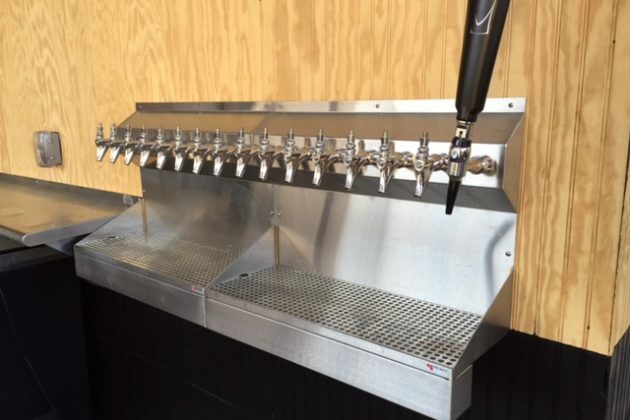 It’s located to the right of the Clarendon watering hole’s back door, behind Don Tito and across N. Hudson Street from Brixx Pizza. Lots of beer: 16 taps, 30 cans, ciders, sangrias, etc. Freshman said Spider Kelly’s is also adding new bathrooms inside, doubling the existing restroom capacity. 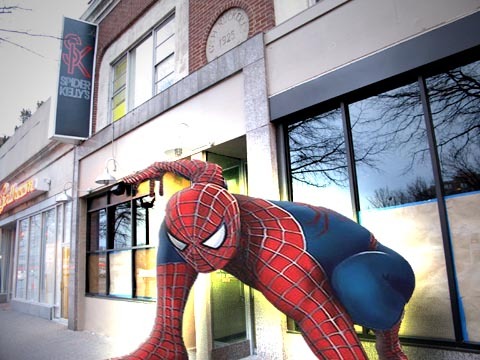 The concept for the original Spider Kelly’s was “a neighborhood hole in the wall,” says general manager and co-owner Nick Freshman. 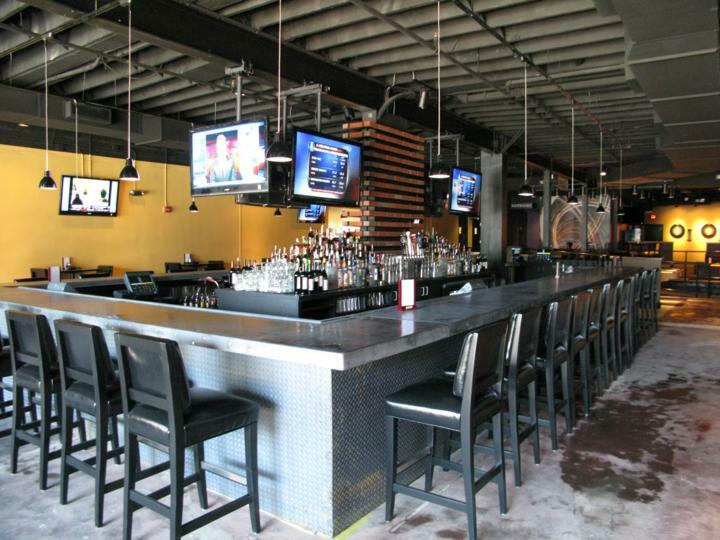 But the former hole in the wall has knocked down a few walls to become one of the biggest bars in Clarendon. Spider Kelly’s has quietly taken the paper off the windows and opened for business, attracting about 100 customers last night, its first night open since renovations began in December. What would have been a big crowd at a normal bar was well under a quarter of Spider Kelly’s certified capacity of 455. Pool tables, shuffleboard tables, dart boards and arcade-style video games have been brought in to add “more fun” to the neighborhood hangout. The well-received, value-priced menu has been expanded (more on that after the jump). Outdoor sidewalk seating for about 32 people will be added once the weather is warm enough, probably by the beginning of May. 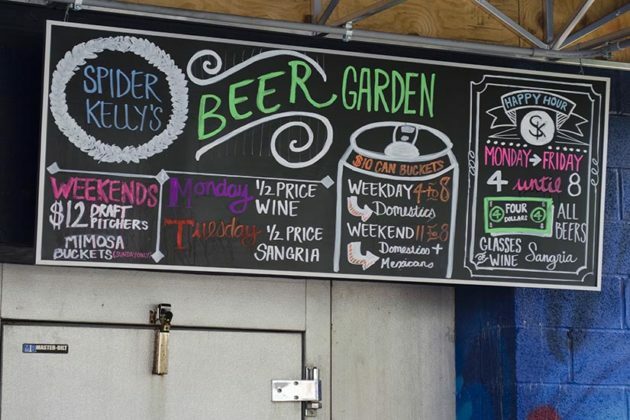 The motivation for the new Spider Kelly’s was part vision, part opportunism. 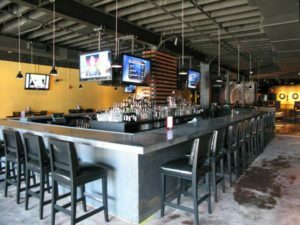 Just as the original Spider Kelly’s opened in 2008 by taking over the lease of a struggling restaurant, the new Spider Kelly’s came about largely because two neighboring businesses were looking to move or close up shop. “We like to think of it as a natural evolution,” Freshman says. 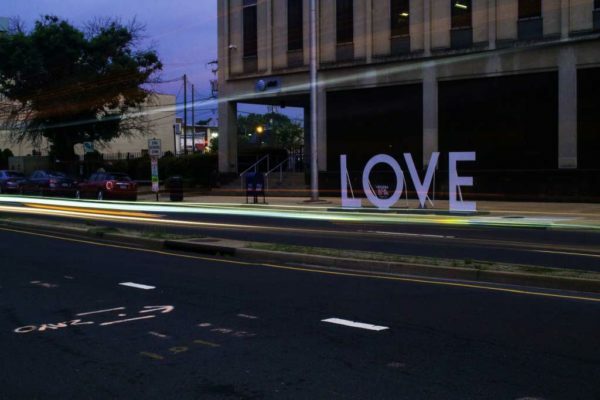 He and business partner Nick Langman — who also co-owns Clarendon Ballroom and Eventide Restaurant — dreamed up the idea of a “neighborhood spot, no pretension, just relaxed” back in college, a genesis that perhaps explains the obscure Hemmingway reference (Spider Kelly was a very minor character in “The Sun Also Rises”). “It wasn’t without a certain amount of trepidation that we decided to expand,” Freshman said. 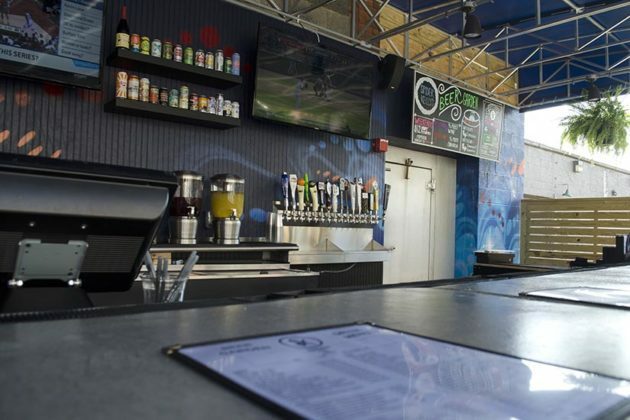 Despite the lagging economy, Freshman says he Langman were impressed by Clarendon’s “resiliency,” including its ability to support the host of new food and nightlife options that have popped up in the past two years. Spider Kelly’s will open at 4:00 p.m. Monday through Friday, and at 11:00 a.m. Saturday and Sunday. Lots of photos, and a first look at the new food and drink menus, after the jump. 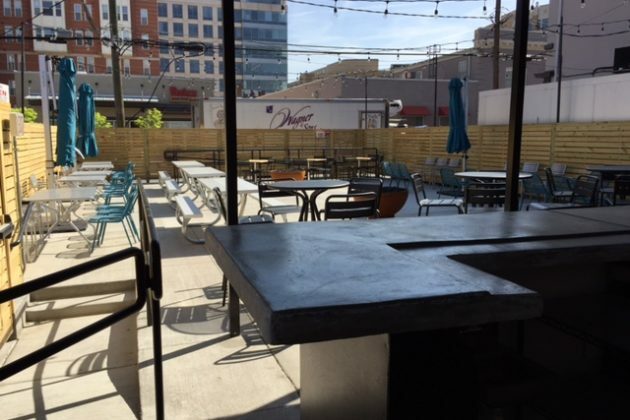 After acquiring two small, adjacent storefronts, Spider Kelly’s in Clarendon is aggressively expanding inside and adding sidewalk seating outside. Based on a floor plan filed with the county (below), the new Spider Kelly’s will feature three pool tables, five shuffleboard tables, five video game machines, four darts stations, two old school basketball arcade games, a big island bar, sidewalk seating for 32 and indoor seating for at least 150. Permission for the outdoor seating and a new outdoor sign will be discussed and is expected to be approved at Saturday morning’s county board meeting. 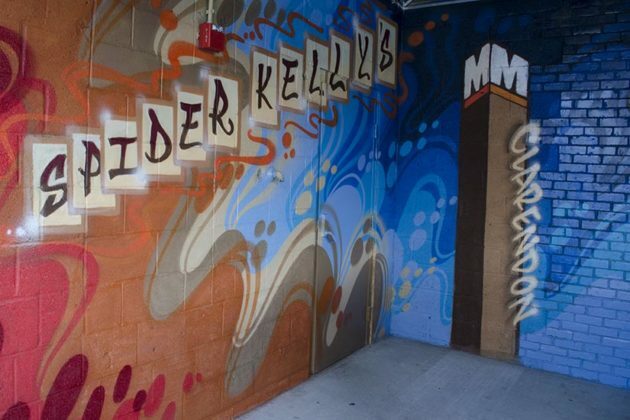 If all goes well, the new Spider Kelly’s could open as soon as next weekend. We got a peak inside yesterday as job candidates trickled out the door, and there’s only one word to describe the interior: massive. Check back here on Tuesday for interior photos. In the meantime, check out the floor plan, so big it had to be broken up into two separate images. It’s been a week full of snow, but spring-like conditions are possible this weekend. 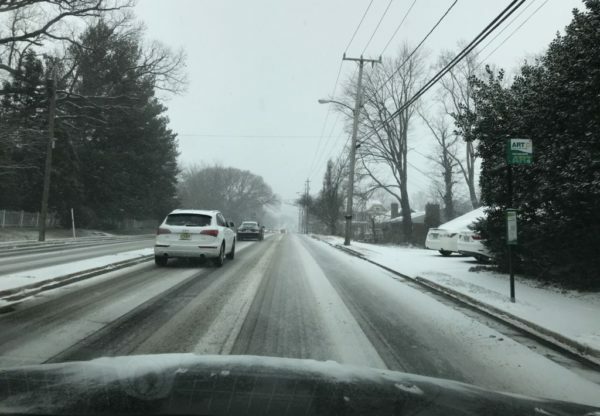 Once the snow flurries finish tapering off, the forecast calls for temperatures to rise into the 40s and 50s for the weekend, with even warmer days possible next week. 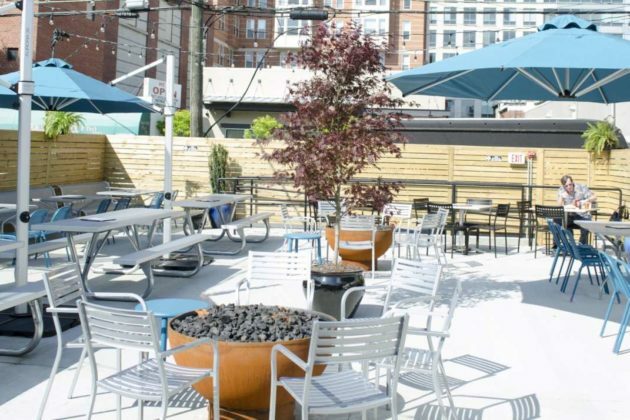 Swing by our event calendar if you need some suggestions on how to enjoy the nice weather this weekend, or where to watch the Patriots and the Rams square off Sunday. Head down to the comments to discuss these stories, your weekend plans or anything else local. Have a great one! Now that Thanksgiving is over, Hanukkah celebrations are right around the corner. This year, the Jewish holiday begins at sunset on Sunday (Dec. 2) and ends the following Monday, Dec. 10. Arlington is ready for the festivities to begin, with seven events planned in the area for locals to attend during Hanukkah. Dec. 2: Chanukah at Kol Ami — The Northern Virginia affiliate of the Jewish Reconstructionist Movement is set to sing and play dreidel at its potluck. Attendees are asked bring their menorahs, candles and pre-cooked food. Dec. 2: Light Up Your Shabbanukkah Table — OneTable will be at the Crate & Barrel on Clarendon Blvd to learn how to get your table ready for the Festival of Lights. Dec. 4: Chanukah in Clarendon — Spider Kelly’s will have a menorah lighting and dreidel tournament. The $18 admission includes a drink ticket, latkes and unlimited darts, pool and shuffleboard. 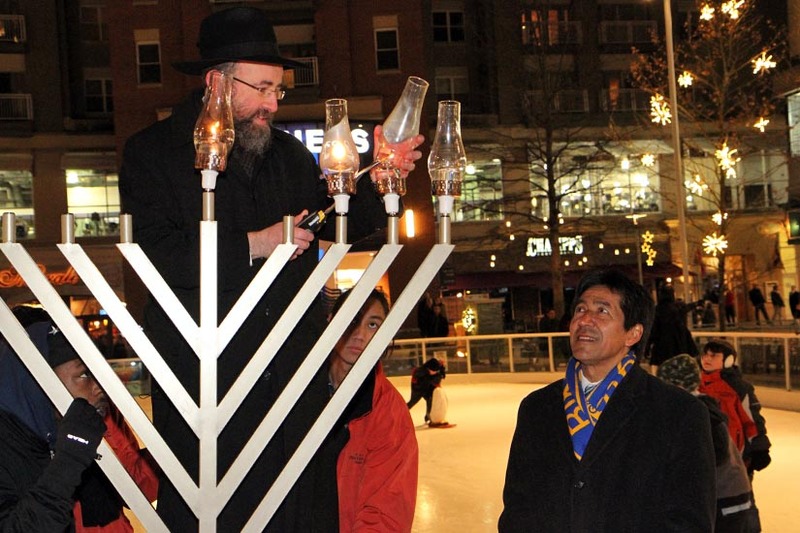 Dec. 5: Clarendon Chanukah Menorah Lighting — The free event at Clarendon Central Park will include the lighting of a six-foot menorah and hot potato latkes, chocolate gelt and dreidels. 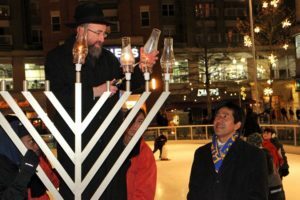 Dec. 6: Chanukah on Ice — Head to the Pentagon Row Ice Rink for the lighting of a six-foot menorah, a free raffle, ice skating and kosher hot dogs. Tickets, which include the skate rental, bought before Monday (Dec. 3) are $10 and $13 after. Dec. 6: Festival of Lasers — Compete in laser tag to celebrate Hanukkah at the Ultrazone Laser Tag in Falls Church. Tickets are $25. Dec. 7: Shabbat-Hanukkah Party — The Congregation Etz Hayim’s monthly potluck will turn into a Hanukkah party after Shabbat services at 6:15 p.m. After kiddush and motzi, the group will serve latkes alongside the potluck, sing songs and play Hanukkah games. Each week, we highlight select deals and events around Arlington, with help from Tim’s Arlington Directory. Some require a coupon or have more instructions, so be sure to click the link for details and any additional requirements.